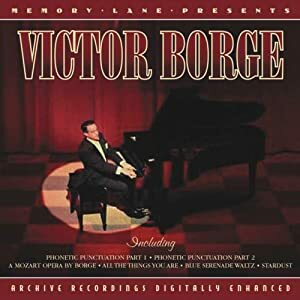 Victor Borge is one of the best, ever, musical comedians. I was introduced to him a long, long time ago by my parents, who have all his recordings. He used to appear on programmes such as the Morcambe and Wise show, and never failed to be anything less than hilarious. I have just thrown all budgetary restraint out of the window and expended £1.87 on this CD. I can’t wait to hear the “Mozart” opera again. And again. And again.